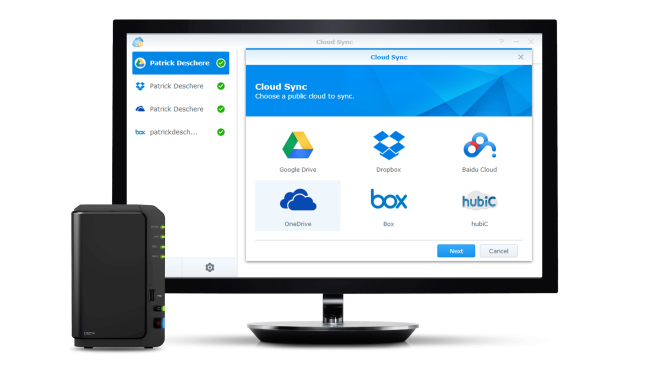 For starters, Synology has taken its DiskStation Manager 5.1 beta public, giving users access to the latest version of the operating system that powers its NAS boxes. To scratch the surface of what's new, this release supports synchronizing data in encrypted folders, handles digitally signing packages, and provides new tools for interacting with video and photos. There's also the ability to sync files to one of the aforementioned cloud storage providers if you rather not give up that warm fuzzy feeling that comes from having an offsite backup. Of course, that also negates the whole taking-control-of your-own-privacy thing. You can get your hands on the DiskStation Manager 5.1 Beta over at Synology's site (here are the release notes if you're interested). The company has also launched a new NAS box you can run it on if you need to get your hands on one. But first, take a look at the new Android-related goodies that have recently rolled out. 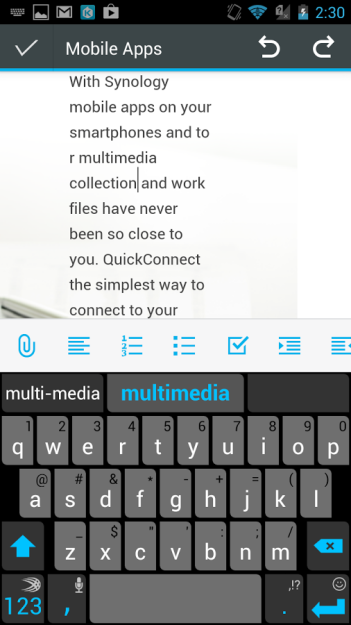 The most notable of which is the addition of a new app. 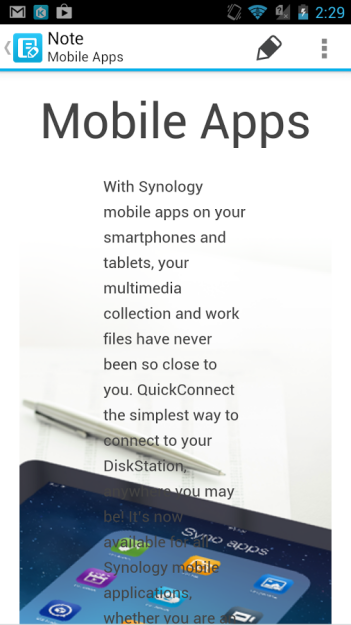 If you've taken to Synology as your preferred cloud, think of DS note as your Keep or Evernote replacement. 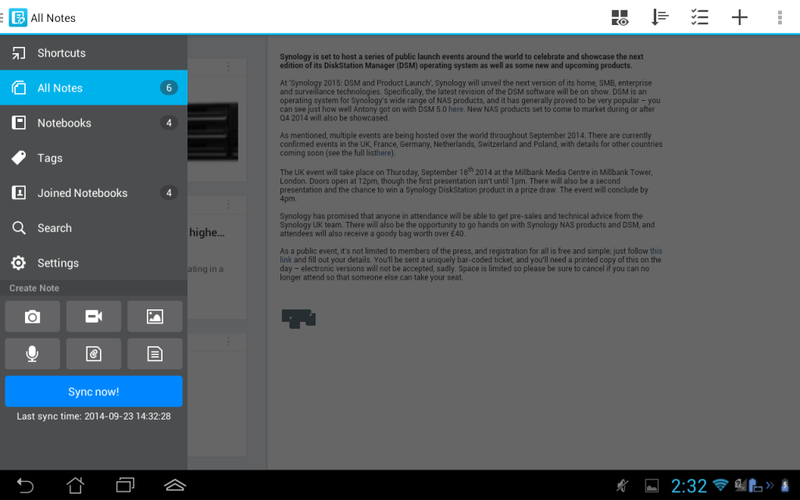 DS note didn't get all the attention, as Synology has pushed tweaks to many of its Android apps. Frankly, there are too many changes to dive into, so here are some highlights. Synology's Android file manager app, DS file, now integrates with KitKat's storage access framework (aka, that pretty sidebar you see when opening files). DS audio and DS video both have a new style, DS photo+ has an offline library, and DS cloud now supports sharing files via a link. Here are the change logs and download links for the whole set.